Follow along Project Indiana’s San Jacinto electrification journey at ProjectIndiana.org and on the Indiana Electric Cooperatives Facebook and Twitter feeds. A crew of 14 Indiana electric cooperative lineworkers traveled to Guatemala Sunday as part of an international initiative to bring electricity to a developing area in Guatemala. “Project Indiana: Empowering Global Communities for a Better Tomorrow” will bring electricity to a part of the Central American country where none is available. The crew will spend March 24 – April 9 electrifying the village of San Jacinto in east central Guatemala. When completed, approximately 110 homes, a school and a clinic will have electricity for the first time. The village will receive electric power generated at a hydroelectric facility in the region. 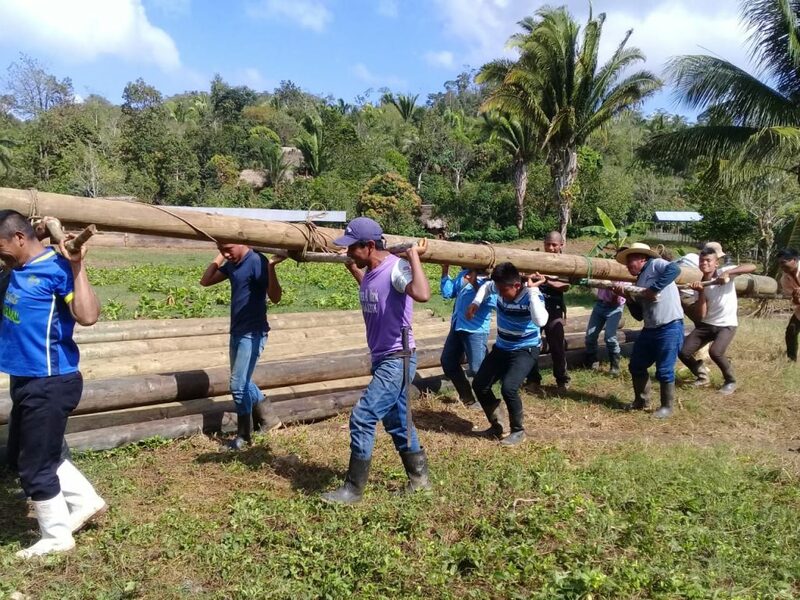 This is the Indiana electric cooperatives’ fourth trip to Guatemala. In August 2012, 28 Hoosier lineworkers from 17 of Indiana’s electric cooperatives, spent four weeks working across the mountainous terrain to bring electricity to 184 homes, a church and a school in three villages. In April 2015, 14 lineworkers battled extreme heat and the rugged land to bring electricity to 164 homes, a school and a church. And, on the last trip in 2017, 14 lineworkers endured temperature extremes to power 68 homes, a school, a church and a health clinic. Follow along their journey at ProjectIndiana.org and on the Indiana Electric Cooperatives Facebook and Twitter feeds. The crew of 14 Indiana electric cooperative linemen will be in Guatemala March 24 – April 9. The crew is supported by NineStar Connect employee Jamie Bell and Indiana Electric Cooperatives employee Joe Banfield. A homecoming celebration to reunite the lineworkers with family and friends will be held at Indianapolis International Airport’s Civic Plaza at approximately 6:00 p.m., Tuesday, April 9.